Gripsweat - SURF Guitar INSTRUMENTAL Rocker- WOODY WAGGERS- "The Sahara Hop"- DAYTONE Hear! 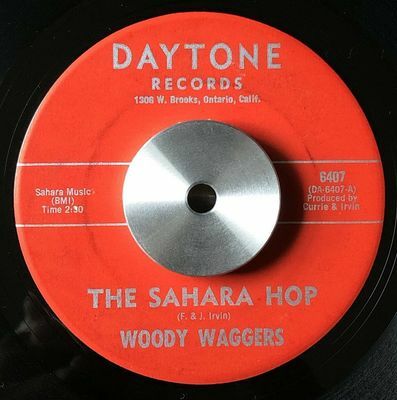 SURF Guitar INSTRUMENTAL Rocker- WOODY WAGGERS- "The Sahara Hop"- DAYTONE Hear! Daytone Records 6407 45rpm 7" vinyl record. EX Vinyl: glossy with very light paper sleeve scuffs/ Essentially NM. Plays NM. Click on MP3 to hear the 45 record being sold.